Each week during our Sunday services we purposefully take the time to honor God through an offering. It’s a moment to give back a portion of all that God has given us. ​Scripture says, “Honor the LORD with your wealth, with the first fruits of all your crops…” (Proverbs 3:9). 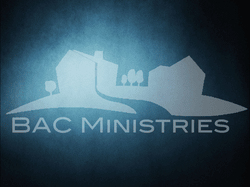 The offering not only supports the ministries of BAC, but also reaches out to local, regional, national, and international ministries, as there is a cost to ministry. Scripture also tells us, “This service that you perform is not only supplying the needs of the Lord’s people but is also overflowing in many expressions of thanks to God” (2 Corinthians 9:12). The Bible references money and possessions 2,350 times, which is more than Jesus talked about Heaven and Hell. It’s the second most referenced topic in all of scripture and is as though God knew we would need direction and clarity on the subject. ​We would encourage you to research the Bible on this subject and if you haven’t started giving yet, try a 90–Day Giving Experiment. For 3 months test the Lord and see if he won't open the windows of heaven and pour out "so much blessing" you won't be able to contain it (Mal. 3:10-12). If you'd like helpful resources to launch you on this journey of generosity e-mail the BAC office at bacprayer@comcast.net. Interested in supporting BAC now? Simply use the easyTithe box (My Online Donation) and rest assured as easyTithe adheres to the strictest requirements concerning PCI & DSS Compliance Security, intrusion detection, and SSL transaction security. If you have any question please contact the church office at bacprayer@comcast.net or 724.872.5570.